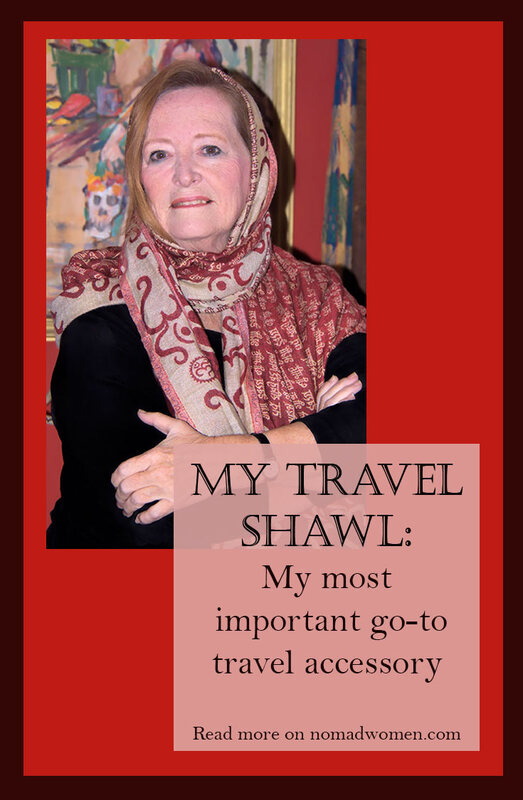 Shawls are so handy, especially when traveling! Janice always packs a few in different colors, which she wears instead of a sweater if it gets cool at night or in air-conditioned restaurants. Yep. It’s the handiest thing I pack. Shawls are also one of my favorite souvenirs to buy. I can’t wait to go someplace like Turkey or India where the choice will be so delicious! Love this and those great vintage pictures. Those women never faced a frigid flight and I never leave the ground without a warm and cuddly shawl. I so agree! I’m traveling with two in wool challis – a vibrant, colorful paisley and an animal print – on our RTW trip right now. Even though we’re in warm climates where I’m more likely to use a lighter weight pareo, I won’t give them up. They’re useful for almost anything, but a little challenging to keep in place for me. One of the most memorable women I’ve ever had the pleasure of surreptitiously watching in Paris had one similar to yours artfully draped around her in a beautiful breakfast room at Le Dokhan’s Trocadero. I vowed then and there to keep trying. How do they do that, Betsy, those insouciant French women who always seem to put no effort at all into looking so perfect? Funny, only yesterday my wife and I were browsing through Alpaca shawls here in Santiago at a market – but none was wide enough to be really useful as a universal travel shawl. It’s anyhow the wrong season to think about one, just coming into summer in Chile, but in general we agree (and I’m male… LOL). You should buy a pretty one for your wife while you are there. After all… she’s your wife. And it won’t always be summer! What a wonderful post! They are also great on chilly airlines. Your $16 buy looks fabulous! Thanks Irene, I can’t travel without it. Yesterday, I wore it to the grocery store here at home! Love your scarf! 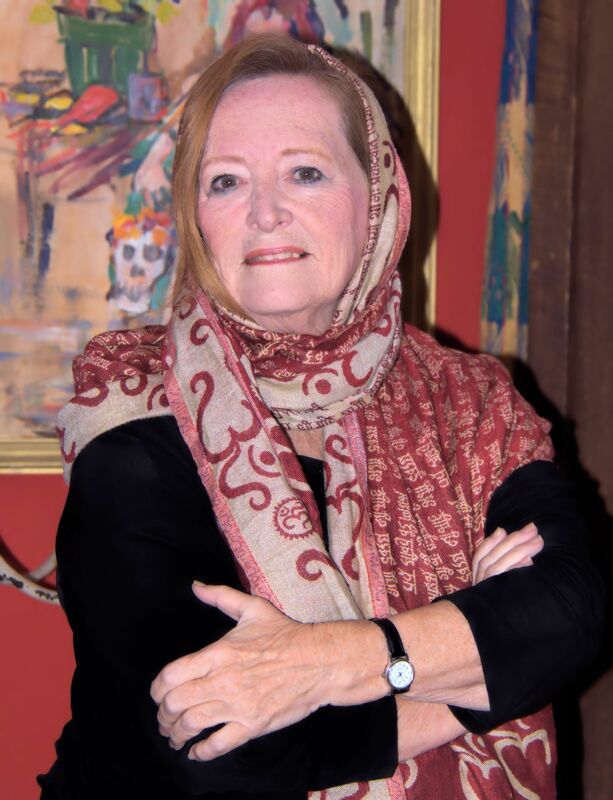 On our last trip I brought a very lightweight cashmere pashmina I had received as a gift, and it kept me warm on planes and chilly nights, and covered my head and shoulders while visiting mosques and churches. Sadly I lost it on our last day, but as you say there’s an excuse to buy a new one! Although the one in the picture is the only one I took on my last trip, I’m embarrassed to admit how many I have in my closet. Next trip, I’ll probably take a couple… but will ALSO be shopping for more. A big travel shawl has become my favorite souvenir as well as my favorite travel accessory! A good shawl is handy and versatile for traveling. I haven’t found my perfect one yet, but am looking. Love yours. I’ve had several travel scarfs/shawls during our travels through Central and South America and I trade or replace them when the opportunity presents itself. They’re great for warmth and a change of style or color but also great at blocking the sun, keeping a hat from flying off in the wind and, when folded, a fantastic little back pillow! I’m so glad to hear I’m not the only one who LOVES my shawl for traveling. We Nomad Women know a good thing when we see/feel/use it! Loved this articl! I have a more narrow black cashmere travel shawl. It can be used as a neck scarf, too, but I really like wearing it as a shawl to keep me warm on the plane and at other times. 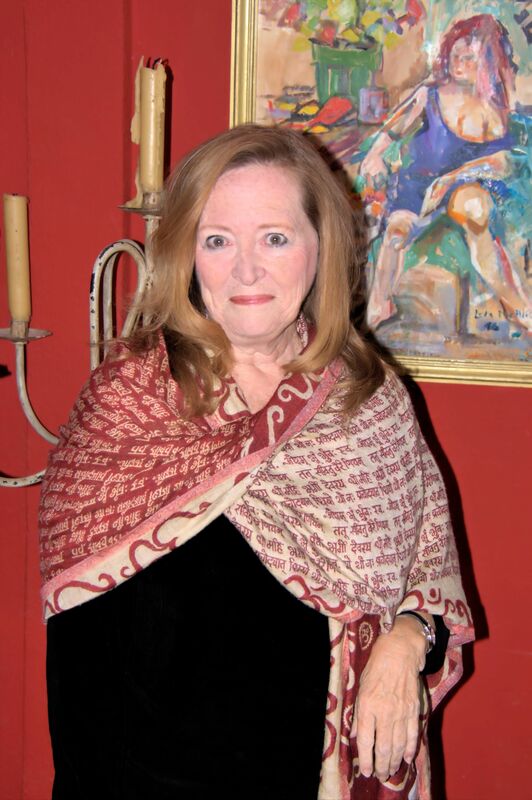 I also have a turquoise Pashmina that I often take along as well. It is larger and lighter and still warm, and I have worn it to bed when I was cold. And I also almost always travel with a light rayon sarong in my bathing suit kit. The sarong can be used in so many ways that it is a must. Agreed, Carole! And thanks for the compliment. Although I am learning to travel lighter and lighter with age, I think I am going to pack two for my next trip. They are so versatile!